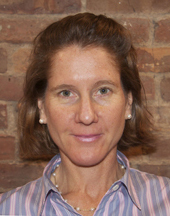 Ms. Barden balances her time between the Westchester and Manhattan clinics, making sure that both run smoothly. She oversees the client relations, administration and hiring for the Animal Endocrine Clinic’s (AEC) two locations including managing the animal care and the “cat spas”. Under her care each pet is properly taken care of, fed and petted or played with on a daily basis. She also performs follow-ups with clients to ensure that they are updated on the progress of their pet and do not have any outstanding questions or concerns. Despite her love and skill with animals, Ms. Barden's career started in education. Proficient in Japanese, Ms. Barden has taught English as a second language to both Japanese children and adults, while living in Japan. After her return to the states, she became a second grade teacher. Then she taught health and physical education for K-5 students and coached a running club at P.S. 60 in the Bronx and at The School at Columbia University. Ms. Barden received an M.A. in Physical Education from Teachers College at Columbia University, a Masters in Early Education (M.Ed) from Mercy College and a B.A. from Rutgers University. Ms. Barden and her husband have two cats.